152. An ellipsograph. 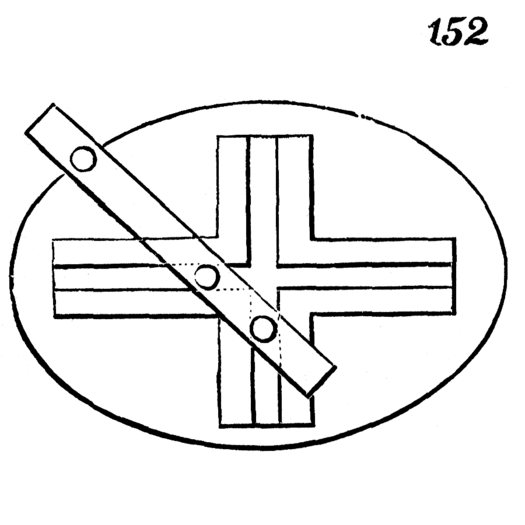 The traverse bar (shown in an oblique position) carries two studs which slide in the grooves of the cross-piece. By turning the traverse bar an attached pencil is made to describe an ellipse by the rectilinear movement of the studs in the grooves.